May 1832: Anne Lister was making her way home to Halifax and ancient Shibden Hall. Betrayed once again by another woman's marriage plans, she knew her romantic youth was over. So many of her female friends had married and settled. Anne cast around forlornly for the life-companion she had so long sought. She held melancholy spirits at bay by reading new geology and new gardening books in Shibden's well-stocked library. Then a chance re-acquaintance with neighbouring heiress Ann Walker changed all that. Anne Lister is best known to us as a lesbian diarist. Nature's Domain tracks her intense courtship of Ann Walker, vividly and candidly recorded in Anne's daily journals - and partly written in her own secret code. 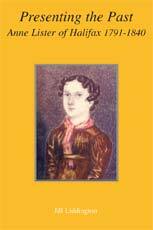 This latest Anne Lister book also documents how she began redesigning the Shibden landscape and playing a new role in the local political tumult after the passing of the great Reform Bill.This dramatic story, hitherto unknown and never before unpublished, unfolds to New Year's Eve 1832. 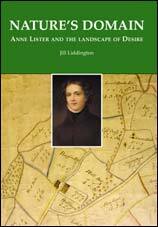 It records how Anne Lister's indomitable will enabled her to mould nature to her own powerful desires.